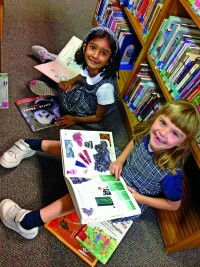 It is the mission of St. John’s Episcopal School to graduate students who are ‎academically prepared, sound in character, and of enduring faith -principles as vital to the future as they were at the school’s founding in 1961. A strong academic program, matched with a focus on character and imbued with a vital faith component come together to form the St. John’s Episcopal School experience. A committed faculty and staff are at the foundation of that experience and make it come alive. The Traits for Success are the foundation for students to fulfill their unique potential through intellectual, moral, and spiritual challenge. We balance the need for individual growth with the responsibility of citizenship and community service. Formed by our inspired students, teachers, and parents, the St. John’s community feels deeply connected and valued. Meaningful partnerships are created based on dialogue, dependability, and mutual respect. We celebrate diverse skills, talents, and backgrounds and expect every individual to contribute to creating a community of warmth, character, and faith. A cornerstone of life at St. John’s is our commitment to Christian values and the development of moral character. We are devoted to our Episcopal identity and to our role as an outreach of St. John’s Church. Affirming our religious heritage, we reach out to people of all faiths and backgrounds by accentuating the common elements of our personal, spiritual and communal growth.